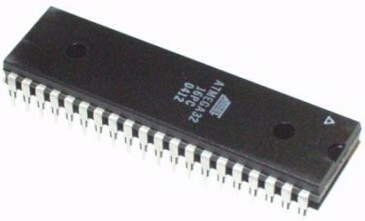 Suppose you wanted to have your microcontroller pass some time in your software but without using a hardware timer? Hardware timers can cause problems, and every microcontroller has a limited number of them, so there are many reasons why this could be useful. I'm not saying hardware timers are bad, and in some cases its better to use them, but there are other ways to do timing that I'd like to explain. For those who are familiar with my $50 Robot, you have probably noticed the delay_cycles function, and that its used for things such as for the servos. In this tutorial I will explain how I calculated such delay cycles and what they actually mean. Although that while loop is effectively doing nothing, its serving another purpose of passing time. In this case 8 cycles, representing some unknown time, will pass. How long does a cycle take? Well this depends on many things. It depends on the microcontroller hardware, the frequency of the attached crystal, software settings, input voltage, fuses, etc. How do you calculate it? There are several ways, but this tutorial will demonstrate a cheap and easy way to do it experimentally. But what if you don't have a $2k oscilloscope? Well, there is another way . . .
What should now happen is your LED will turn on, wait a bit, then turn off, and wait a bit. Now this means that 65500*10*2 cycles occur for every flash of the LED. Next, get out your watch or Windows clock and count the number of times your LED turns on in one minute. Lets say you counted it flash 30 times. I will call that number 'count'. But what you want is to know how many cycles it takes for a certain time period to pass, no? 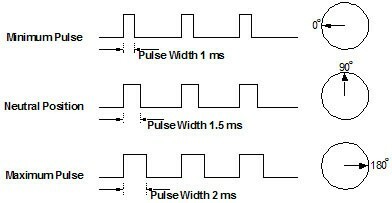 For example, if you wanted to control servos, you would need a square wave of 1.5ms high and 20ms low. How many cycles is 1.5ms or 20ms? Now suppose you wanted to create a delay of 5 seconds. Perhaps you wanted your robot to wait for some reason . . . Well, this is the equation you would use. But you aren't quite done, as a long int can only store up to 65536! Doing a delay_cycles(3275000) will not work! to get your 5 seconds delay. And there you have it, a method to time your microcontroller experimentally!